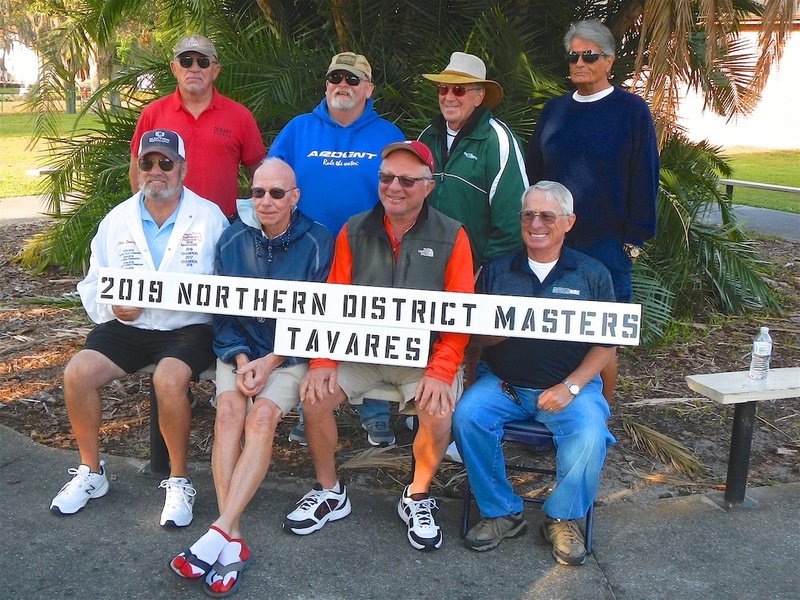 Tavares Shuffleboard Club hosted the 2019 Master’s Tournament this year. Lorraine Layton, President, welcomed all Thirty-Two (32) qualifiers and volunteers who came to push and help. We heard that Richard Burchardt was in the hospital but doing well. We said a prayer for all those who could not be with us and then Pledged Our Allegiance to the Flag. The Tavares volunteers had a nice table of coffee and donuts for us to snak on while everyone was registering. We were then assigned courts and pushers. The organization and implementation of this tournament and banquet was OUTSTANDING! The tournament consisted of everyone playing two games each and then switching courts and challengers. The eight top players from each category played each other. We then recorded wins and losses on the board. On Thursday Qualifiers played two matches in the morning, had lunch, then played two more matches in the afternoon. Qualifiers returned on Friday to play the last three matches. When we had finished playing, Lorraine tallied up the wins and losses. 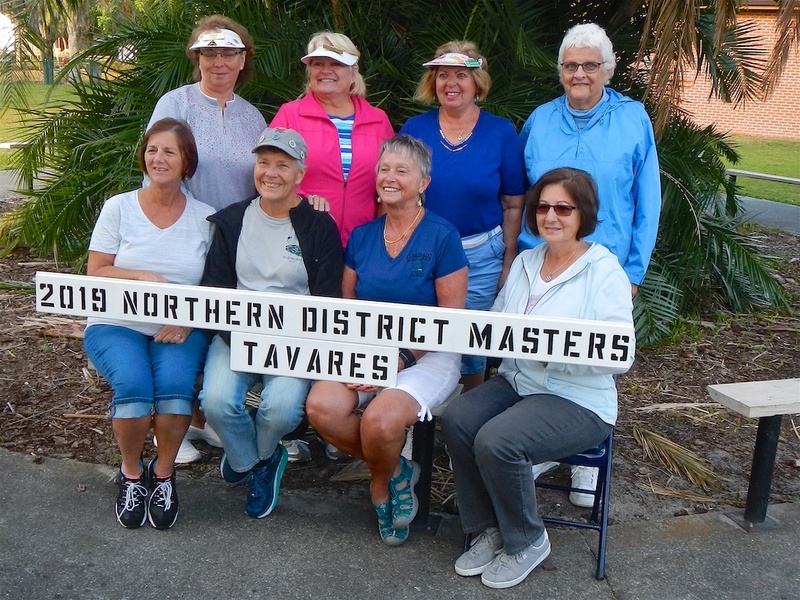 Congratulations to all the Master competitors for a season well played. Highlighted leaders are declared CMS Club members. 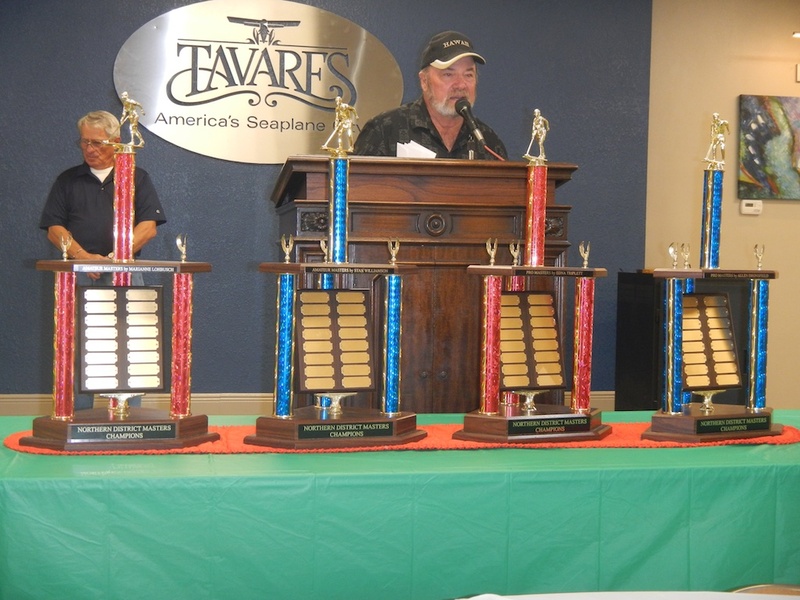 Following the tournament, all of us went into the Tavares Banquet Hall for entertainment, dinner and the Awards Ceremonies. The hall was beautifully decorated and Rick Enright had the music system going. Rick and the “Men At Work” (Rick Enright, Rod Lewis, Phil Wade, John Giumarra, Joe Inga and Jeff Geesey) entertained us with a YMCA skit that had the whole banquet room participating. Hall of Fame Jackets were presented and all the levels of individual (players) seasonal shuffleboard achievement received an appropriate ND Pin. The State Redline Amateur Singles Awards were given to Christine Inga and Rod Lewis. 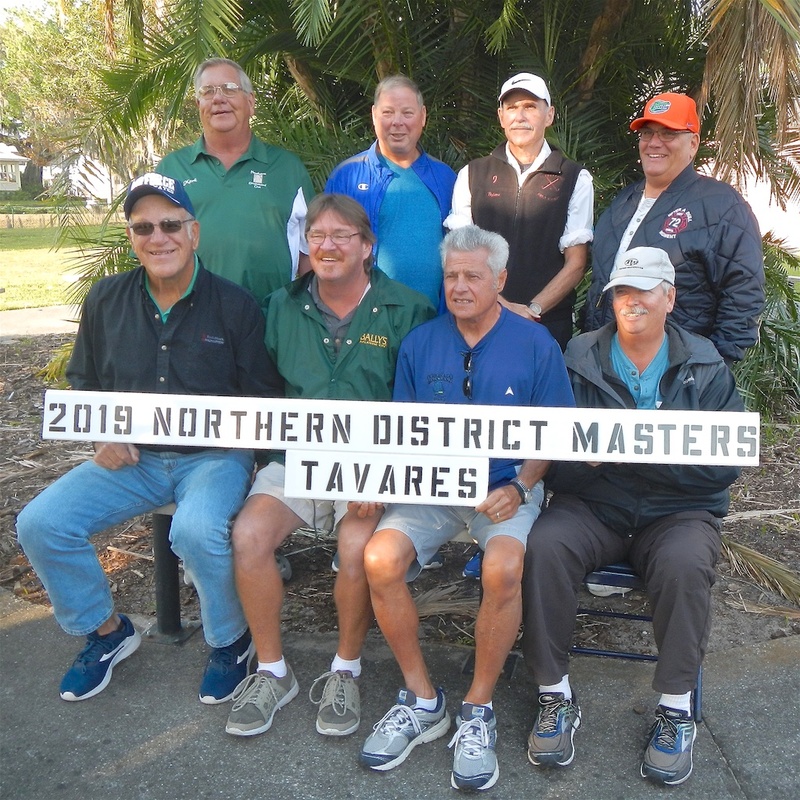 The Frank Wilson Trophies were presented to the TOC Champions and Al Dronsfield for the first time at a Masters Tournament donated four trophies (named after four Hall of Famers) for the winners of each Masters category. 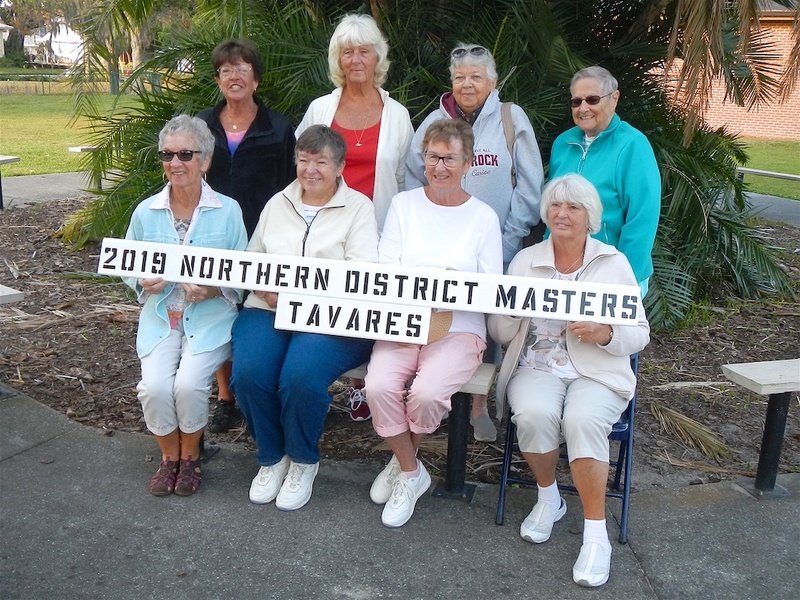 The Marion Lohbusch Trophy presented to the Amateur Ladies Champion; The Stan Williamson Trophy presented to the Amateur Mens Champion; The Al Dronsfield Trophy presented to the Pro Mens Champion; The Edna Triplett Trophy presented to the Pro Ladies Champion. Al Dronsfield Designed and Donated these four Trophies. To See the final Scoring Click Here.